Boutique selection of glass and natural stone blend mosaics with contemporary, cool tones for trendy settings. The Merola Tile Tessera Subway Earth 3-inch x 6-inch Glass Wall Tile comes in a subway format, which is a versatile and popular look for traditional and modern decors. Now in a multitude of nature-inspired colors, this glass tile suits many different decor styles. Grout color can change the appearance of this glass tile, so make sure you pre-test your grout selection to be sure you are satisfied. Give your walls some wow with the Merola Tile Tessera Subway Ice White 3-inch x 6-inch Glass Wall Tile. The classic subway format complements a variety of interior styles ranging from traditional to modern. Finished in clean, bright white, the tile is sure to brighten any room. Please note that grout colour can change the appearance of this glass tile, so make sure you pre-test your grout selection to be sure you are satisfied. 5/8-inch x 5/8-inch Glass Blend Tile in Moonstone Boutique selection of glass and natural stone blend mosaics with contemporary, cool tones for trendy settings. 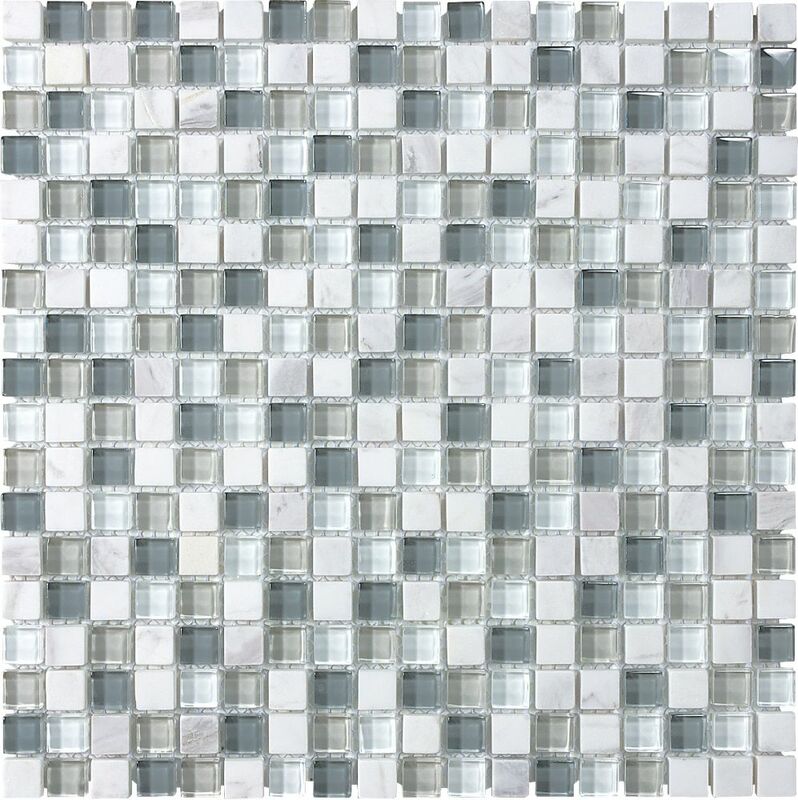 5/8-inch x 5/8-inch Glass Blend Tile in Moonstone is rated 4.5 out of 5 by 2. Rated 4 out of 5 by ferfc from easy somewhat I did the whole kitchen and it look really nice, i use toothpicks as spacers home depot did not have spacer small enough, the only problem was the cleaning of the grout really hard to get clean lines so let it dry en clean with a sponge after. Rated 5 out of 5 by Lesa from Used for accent strip in backsplash Turned out even better than I imagined, looks really good!